Where can I buy your dyes in South Africa? Message: Can you please give me information on where can I buy your dyes in South Africa? Do you have distributors in South Africa? Melanie Brummer’s book Contemporary Dyecraft features more than 50 resist-dyeing projects that are easy to do and yield beautiful one-of-a-kind results. I don’t sell dyes in South Africa, but I can tell you someone who does. Melanie Brummer, at Slipstream Dyes and Prints, sells Remazol type fiber reactive dyes. She is the author of the book, “Contemporary Dyecraft: Over 50 Tie-dye Projects for Scarves, Dresses, T-shirts and More”, which gives instructions for projects that use these dyes. The Remazol type dyes are among my favorites; they require a little more warmth to react with the fiber than Procion dyes do, but they have similar properties. They can be used with any natural fiber, given the right recipe. For more information about this type of dye, see my page, “About Vinyl Sulfone Fiber Reactive Dyes“. See Melanie Brummer’s website, or phone 083 568 9150, or email info@dyeandprints.co.za. Choosing the “Buy Now” link on the Slipstream site leads you to the Crafter’s Den, which says it is located at 37 Voortrekker Avenue, Edenvale 1609; see their contact page. This entry was posted in sources for supplies on February 5, 2015 by pburch. Hallo. I want to dye my canvas cazebo. 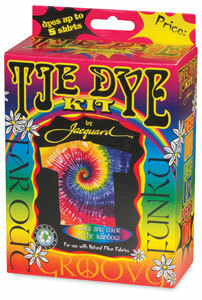 How best can one dye polyester materials. Most companies and stores are failing to assist?